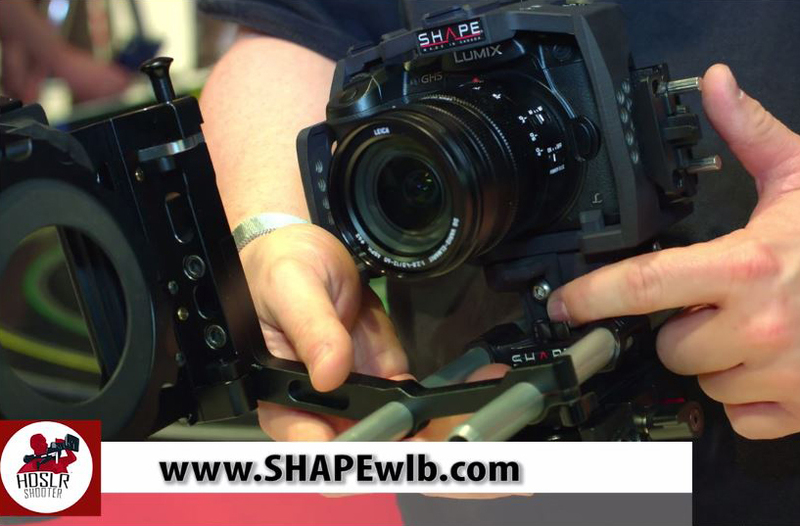 We had the pleasure of using SHAPE gear with our URSA Mini Pro during our coverage of NAB 2017, learning for ourselves how ergonomic and lightweight it really is. So we made doubly sure to speak with them at their booth on the awesome REVOLT baseplate, as well as some of the other great pieces they offer. 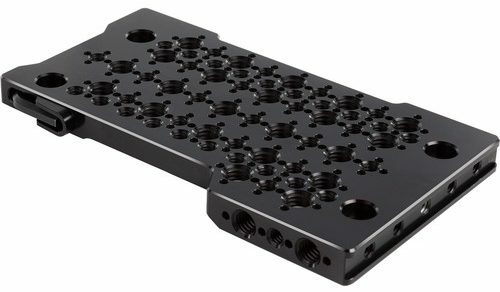 Available now, the SHAPE VCT UNIVERSAL BASEPLATE offers a unique design created for professional cameras. 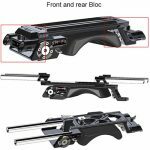 It is made of a sturdy and lightweight support system, compatible with different lens adapters from Sony, Canon, RED, Panasonic, Blackmagic, ARRI and many other camera models with interchangeable lenses. Featuring a sliding camera plate, SHAPE‘s REVOLT VCT Universal Baseplate can accommodate rigs of varying sizes. Simply attach your camera via 1/4″-20 or 3/8″-16 screws to the top plate, and slide it onto the shoulder plate. 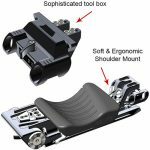 Fore and aft movement allows you to balance the weight of your setup properly. Further adjustments can be made by moving the shoulder pad. The 15mm rod clamps at the front and rear of the baseplate allow you to secure 15mm accessories such as a matte box, follow focus, lens motors, lens supports, battery plates, or external recorders. 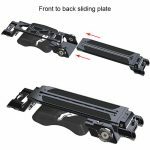 Since the front rod clamp is attached to the top plate, the rod-mounted accessories don’t need to be repositioned as the rig is adjusted. 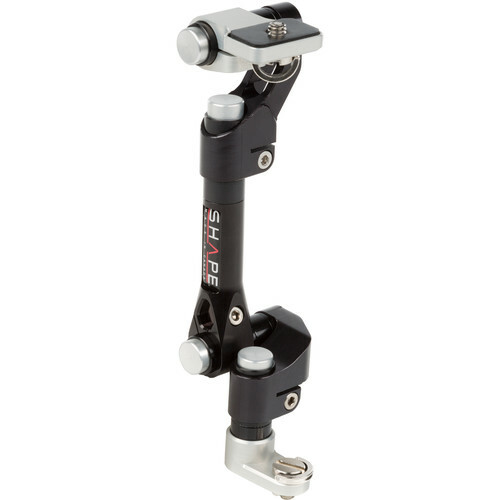 Additionally, handles can be mounted to the ARRI standard rosettes on either side of the plate. When not shoulder-mounted, the baseplate can be secured to a standard VCT-14 ENG quick-release in a matter of seconds, saving time on set. The Canon C700 Top plate is attached on the Canon C700 with 4 ½ in. ¼-20 UNC screws. The Top plate can be installed on top of the Canon C700, 4 different ways by ½ in. increments, towards the back of the camera body. The principal components are CNC machined from 6061-T6 aluminum monolithic blocks. The parts are then anodized to protect against wear and oxidation. 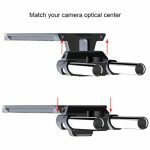 On this device, the camera support arm features 2 or 4 Push Buttons, allowing you to make vertical and horizontal positioning adjustments of the camera accessory from the top or the bottom of the arm. The 2 axis Push Button Arm system allow a quick access to your camera accessories, but also procure the stability and maneuverability you deserve when you’re on the set. 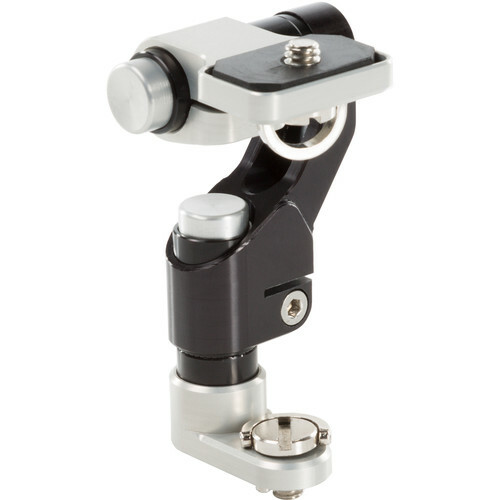 Increased stability and maneuverability are provided to the camera rig using the 4 axis Push Button Arm. Still in development, SHAPE’s Panasonic GH5 Cage will offer the same design and functionality of their other camera cages, with rods, matte box and other SHAPE gear compatibility. They will also be offering the GH5 cage in a number of different kits for purchase. The SHAPE Panasonic GH5 cage will be available in early June 2017.